I don’t know about you, but I seem to spend a lot of time in my kitchen. I make breakfast, then clean it up. Make lunches, clean it up. Prepare and make dinner, then clean it up. Let’s not forget snacks, too. We make a lot of homemade food at our house, so I like to use a lot of kitchen gadgets to help me get the job done in the easiest and best way possible. 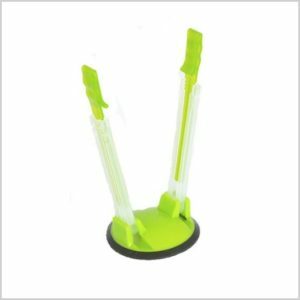 Today we have my favorite inexpensive kitchen gadgets that I think every kitchen should have. This is such a great set of measuring spoons. Not only do I love the colors, but I also love the variety of measurements it has. There are so many! You will never have to guess on a measurement. Of course, I love that these are dishwasher safe. I mean, who has time to hand wash measuring cups? I sure don’t! These scoops are so great for anything. Of course you can scoop your ice cream, but I probably use them more frequently for cookie dough. 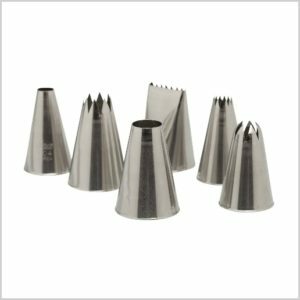 I have used them for scooping out cupcake batter as well. It really cuts down on the mess on the muffin tin. If you want to be fancy with your mashed potatoes, you could use them for that as well. All three sizes of these scoops are a must in my kitchen. 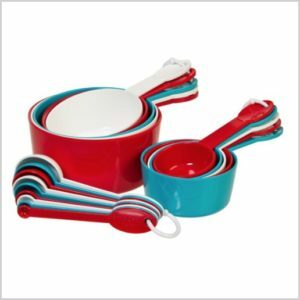 This set is extra fun because it comes with the beautiful mini-spoon set as well. This thing is awesome because it cuts the apples in smaller slices. 16 instead of 8. Perfect size for little fingers for snacking. This means more apples for dipping in peanut butter or caramel. I love my Rada knives. I have a few of them, and they are so sharp! I have not had to sharpen them, yet I have worked them a lot! 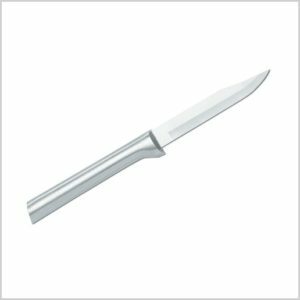 Since I had some Rada knives, I thought I’d try their vegetable peeler. I love it!!! 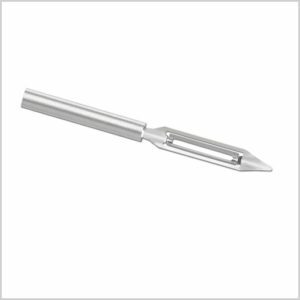 I used to just use a knife to peel potatoes or cucumbers, but after I got this peeler, it does it so fast and smooth, that I have not gone back to the knife for peeling. High quality, but not a large price tag. Have you tried this? 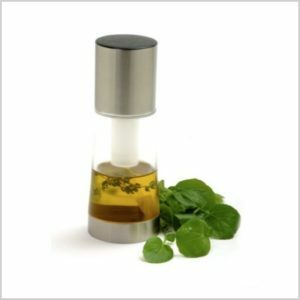 I love it because I can use my own oil and even infuse it if I want. 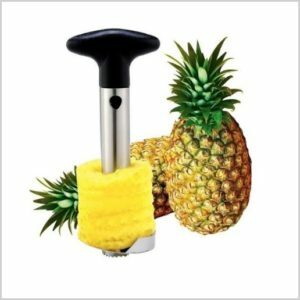 This little gadget saves so much time and cuts your pineapple beautifully! Easy to use and even a great gift idea! I use lots of cutting boards. The amount of homemade food that gets cooked in this house, means I need a good amount of cutting boards. 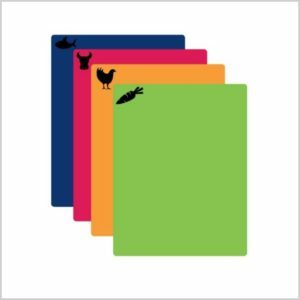 I love that these are colorful and also have little icons on them so you know which one to use for what. Fabulous wedding gift idea. Although I’m love to think I look like a trained chef while I’m chopping my herbs, it is so much easier to use these herb scissors. 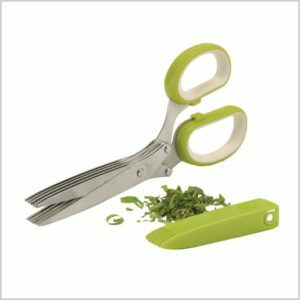 Fresh herbs make such a huge difference in a dish, and these scissors will make a huge difference in how easy it is for you to cut your herbs. Homemade salad dressing is so much better for you than store-bought, let alone cheaper. I love a good homemade salad dressing and this is the best shaker for making your own. You can shake up the dressing without splashing and it’s also easy to pour. 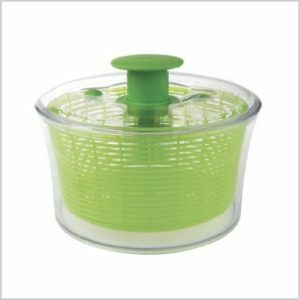 The pump and brake make this salad spinner so easy to use. No wonder it is a #1 BestSeller. I love to buy my lettuce and chop it myself, but washing it can be a pain. Not with this salad spinner. Not a pain at all! Avocados are so good for you, but it’s hard to keep them fresh. 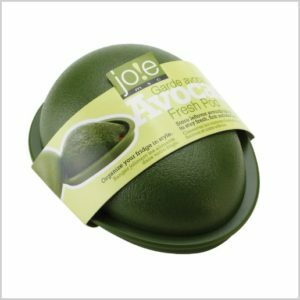 This little Avocado Keeper is so nice. I can keep half of my avocado in there and it stays fresh so much more than anything else I’ve tried. 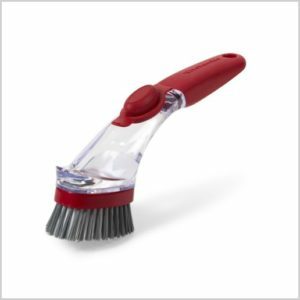 When I use this brush, I can easily clean the dishes, and also not waste a lot of soap while doing it. I use this pan multiple times a week. 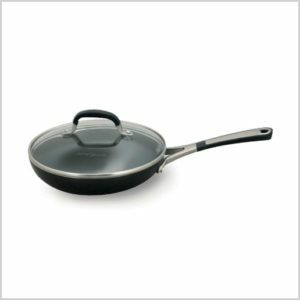 I swear by Calphalon pans, and this one does not disappoint. It works perfectly for when I make scrambled eggs, quesadillas or grilled cheese. This little 8 inch size is perfect. This one is extra nice because it has a lid, too. 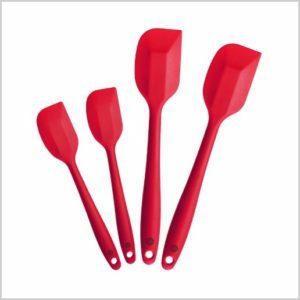 This is a great set of silicone spatulas. 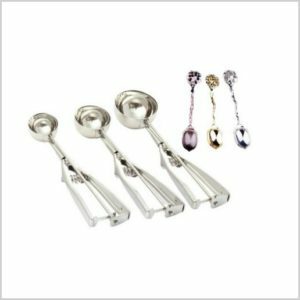 I use all sizes of these whether it be to get last little bit peanut butter out of the jar, to scrambling eggs. I love that these are all one piece, so they don’t break, like some plastic spatulas would. 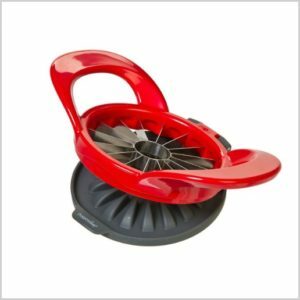 If you like to do make ahead freezer meals, freeze vegetables from your garden, freeze homemade salsa, or pre-portioned meat…this is a must have tool. It takes the mess out of trying to hold the bag up while you dump in your goods. Love it. 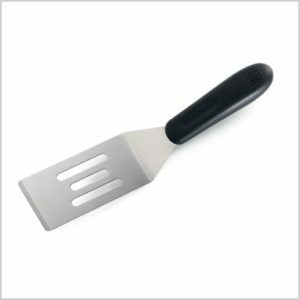 I use this little spatula all the time. I use it for cookies, chicken nuggets, brownies, fries, the list could go on. It’s the perfect size and it just slides under the food perfectly. Love it! 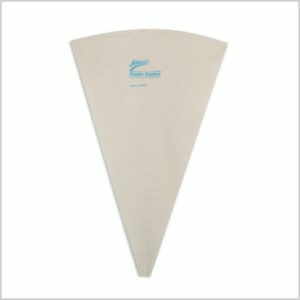 For years I have seen all of the cooks on the TV shows use these silicone baking mats. I finally broke down and bought some and I finally realized why they ALL use them. They are so handy! Your baked goods come out perfect, and cleanup is a snap. For me, the cleanup part is so key, that I use them every time I bake now. I love this whisk. That’s all I can say. 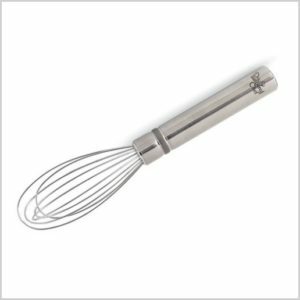 It’s just the best whisk I have owned and I love it. This bag is perfect if you are a master baker, or just starting out icing cakes and cookies. This is a commercial grade bag, but at a price that is perfect. I like this size of bag because if the bag is too small, the icing squirts out all over because I always want to put in more frosting so I don’t have to refill it. Not a problem anymore once I bought a bigger bag. I know, genius, right? Once you have your cool new decorating bag, of course you need lots of tips to make your goodies beautiful. This is the perfect starter set of tips that you will use hands down most frequently. Other tips can be added to your collection later, but this set is a perfect starting place. 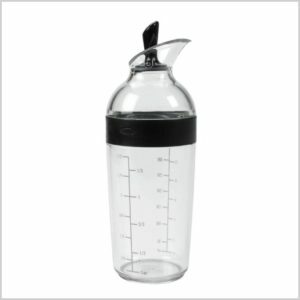 This angled measuring cup is so cool. Don’t you hate it when you are trying to measure liquid and it’s so hard to see exactly where the line hits the liquid? 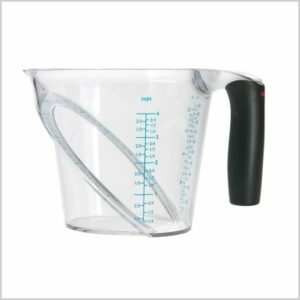 This measuring cup makes it so much easier to read, making measuring a breeze. 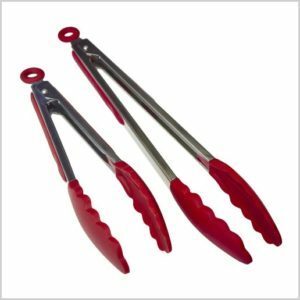 These tongs are great because I can use them on the grill, or I can use them in my non-stick pans and I don’t have to worry about them scratching anything. 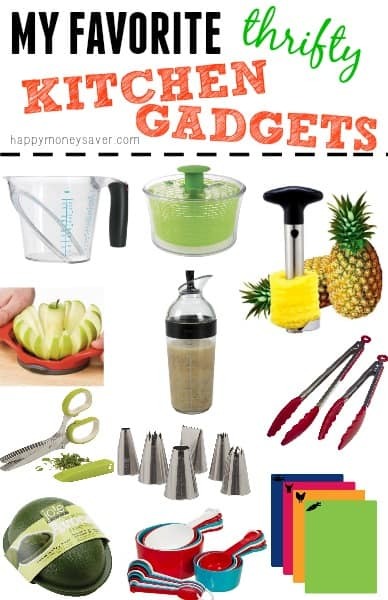 I think it’s time to revamp your kitchen with my favorite kitchen gadgets. Also make sure to check out my freezer meal must-haves supplies for more amazing products. 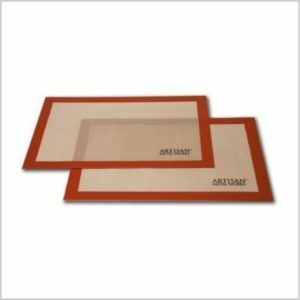 After you get your kitchen essentials, check out these posts. I’ve never seen herb scissors before! What a great idea! I have a few herb plants that I use and chopping them can be a little bit of a chore. I will be adding those to my Christmas wishlist.